Private Equity Professional has been serving the private equity industry since 2007 and is published by Sun Business Media, LLC. The website of Private Equity Professional is updated daily and reports on and analyzes the most important private equity news of the day. Our website averages more than 12,000 visitors a month. The majority of the website’s visitors are senior members of their private equity firms. We also publish Morning Coffee a digital private equity news bulletin which is delivered via email to our members each business day. Morning Coffee provides comments from our publisher John McNulty, as well as summaries of the top private equity news and transaction stories of the day. Morning Coffee is read each day by more than 5,600 private equity professionals. 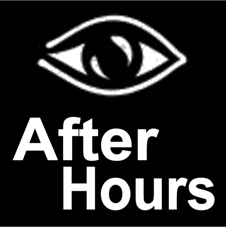 After Hours, our nightly recap of the day's news, is sent out each evening at 9:00 CST and is also read by more than 5,600 private equity professionals. Annually we produce the Carried Interest and Compensation Survey. This survey is now in its tenth year and has become a leading source of information on compensation amounts and trends in the private equity industry.